Colocasia Black Sapphire Gecko ppaf is a new hybrid that grows to 4 feet tall. Large black shinny leaves that have an odd sheen.? The undersides of the leaves are a dark maroon color. Grows best in full sun with rich soil. It can also be grown as an aquatic plant in shallow bog area of ponds. A clumping variety with pups produced only at the base.? Colocasia Black Saphire gecko ppaf gets it’s name from the leaves as a breeder of elephant ears I have kept a look out for any odd traits to work with. 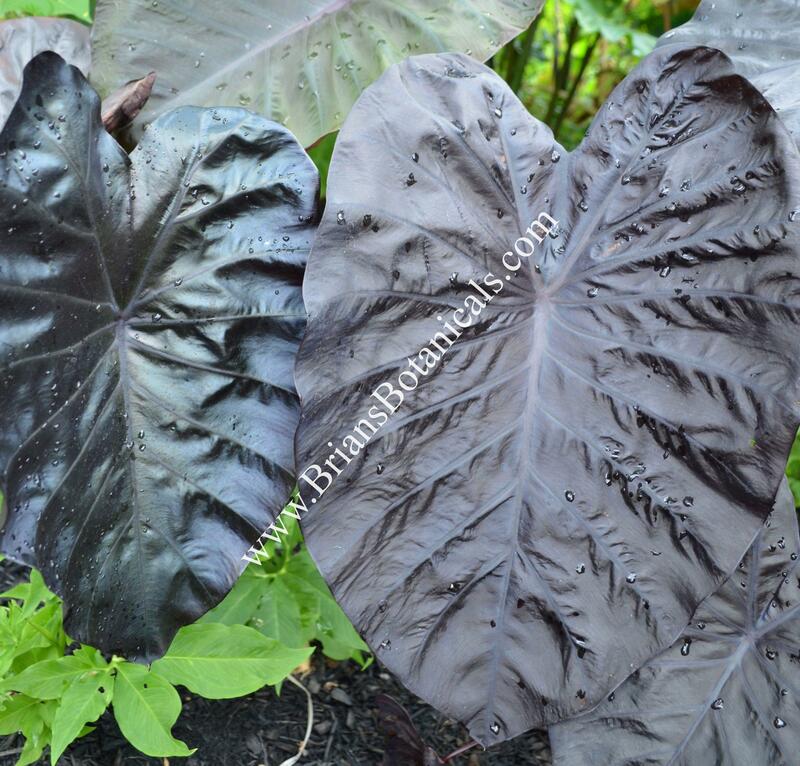 I have produced a lot of black elephant ears with dark shinny foliage but this one had such and odd reflective look to it it was chosen for production. I will post a photo to compare it with another hybrid I have called Painted black to show the difference in leaves and reflectivness.